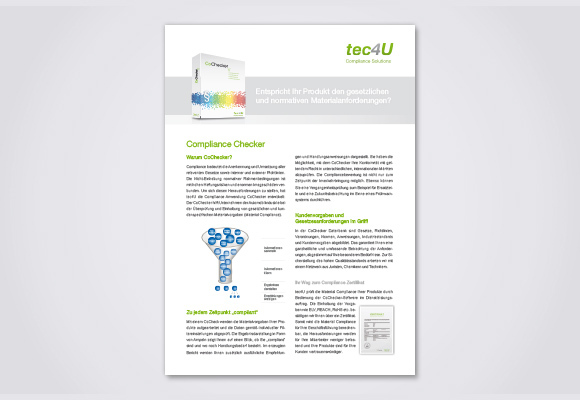 Is your product in compliance with all laws and regulatory standards regarding product requirements? Compliance refers to the recognition and implementation of all relevant laws as well as internal and external guidelines. Meanwhile, compliance has become a central factor for entrepreneurial success. Noncompliance with normative basic conditions is associated with high liability risks and enormous image damage. The concern is to sensitise employees and ensure the implementation of and adherence to legal and customer-specific specifications. Goal of the CoChecker is to make it possible to evaluate a component with respect to its customer-specific/legally-specific material compliance at any time. This applies equally for a compliance assessment projected to the time the product question is to be brought into circulation. 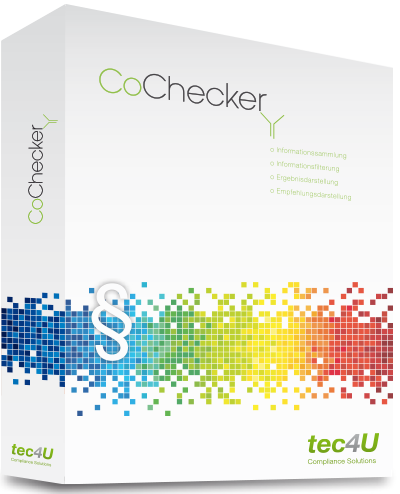 Within the CoChecker, the material specifications of the automobile industry with respect to the vehicle and the components it contains are processed and made testable. This enables a manufacturer of components to use a software-supported query to check which material requirements above and beyond the currently generally recognised material standard (IMDS and GADSL) apply to its component. Legal requirements, standards, directives and guidelines as well as customer requirements are recorded. 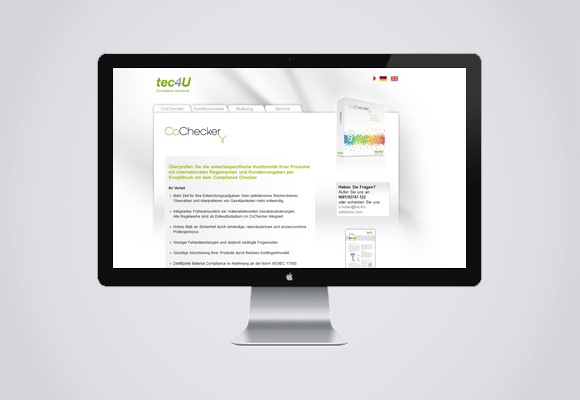 You have the option of using the software yourself or contracting to have tec4U carry out the checks. Upon request, you will receive a Material Compliance Certificate confirming product compliance of your materials for all products tested.